Recently I read an article on SheLoves Magazine about the concept of a One Word New Year. Lose the list of resolutions and embrace where you are right now. Pick a word to guide you the next 365 days. That’s the idea of a One Word New Year. 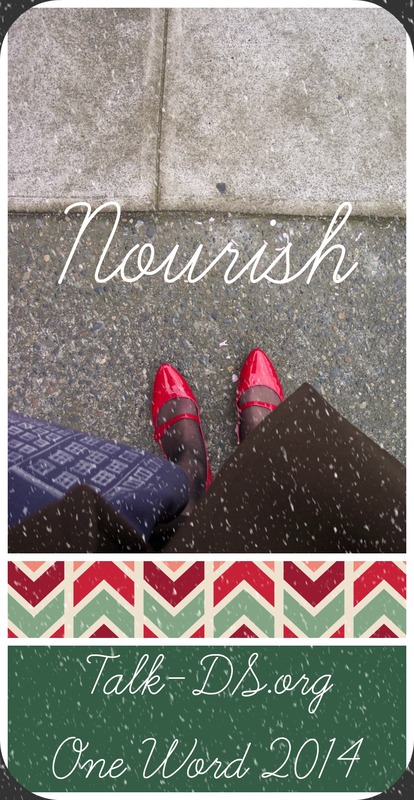 This year the word for Talk-DS.org is Nourish. While it was the most popular post this year, the most popular Talk-DS post ever is still Happy Valentine’s Day (Not) from Your Sister. My sister April, 25 with DS, and I engage by pushing each others buttons and do this remarkably well. Perhaps this is why so many relate to this post. To Nourish the mind and the heart. What is your One Word this year? Got my word 🙂 Thanks Jen. Thanks Karen! Can’t wait to see what it is. Happy New Year!